Raja Amari’s 2002 film, Les Secrets, tells the story of a woman and her two daughters, one middle aged and one younger, who live in the servant’s quarters of an abandoned mansion. The elder daughter, Radia, has previously had an abortion and claims to have no interest in men. Achia, the younger daughter, is characterized by her desire to be a modern girl, shown when she shaves her legs, and ends up with many cuts as she has no instruction. When a young couple, Salma and Ali, move into the house, Aichia is interested in the new inhabitants. Regardless that her mother and older sister prohibit her from making their presence known, one day, two young couples come over for a feast at the mansion. During dinner, Aicha puts on one of the visitor’s luxury clothing and by mistake breaks the woman’s shoe. Aicha goes down to the feast in the outfit, including the broken shoe. Someone hands her a glass of wine, which makes her sick, so she runs back to her mother and sister. As punishment for her disobedience, Radia and the mother tie Aicha’s hands and feet to the bed. The woman, whose shoes Aicha broke, begins to look for the girl. When the woman finds Aicha, Radia and the mother attack her and hold her for hostage. The guests of the feast are not concerned about the missing woman’s location and assume she has just ditched her boyfriend. The prisoner helps the elder daughter find an employer that will pay her fairly for her embroidery skills, and develops a friendship with Achia. Unfortunately, however, all four women meet ill fates. Deming, Mark. "Buried Secrets." The New York Times. 2009. Van Hoeij, Boyd. 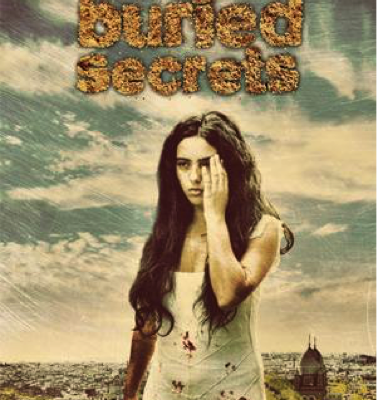 "Buried Secrets." Variety. 4 Sept. 2009. Amari, Raja. “Raja Amari on Les Secrets.” MoMA. 23 Nov. 2012.